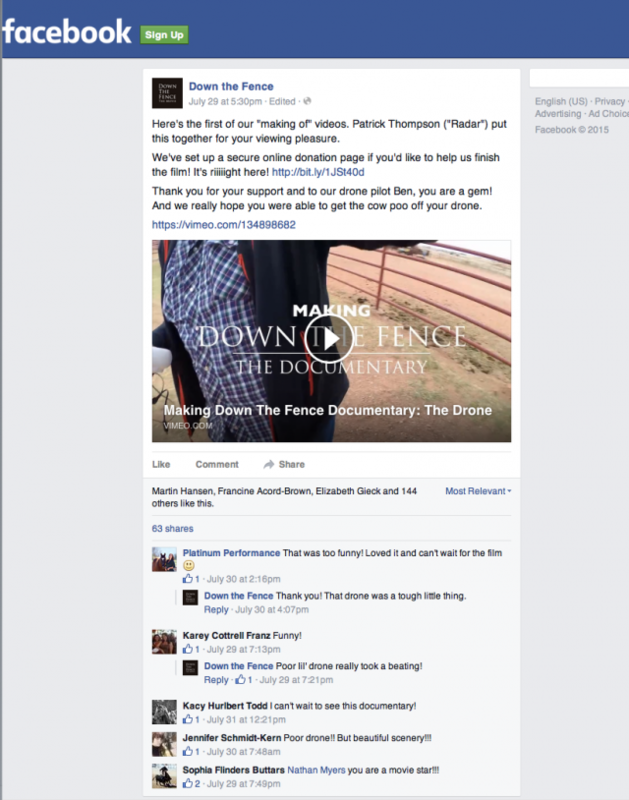 We added a new video to our website, part of our ongoing work on the documentary film Down The Fence and the short videos we have put together to promote the film. Patrick compiled the “crash reel” from the stunning footage Ben captured flying the camera over some of the ranches and landscapes of the film and found a few rare and unseen clips of failure and recovery. It is all part of the challenge, taking our equipment to the edge. MJ, the Producer of the film directed the edit. Unfortunately, the final cut eliminated the profanities. See the post on Facebook.